Made of elastic material, it can be easily attached to the foot board. It is easy to take off, but difficult to be washed away by water, and it is waterproof and skid-proof. 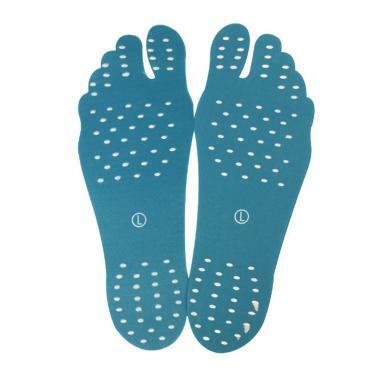 Those who like to run barefoot can also consider this product. Suitable for indoor slippers, beaches, water parks, lawns, etc. Invisible design and well protecing your feet. Easy to put it on and off, resuable, can be repeatedly used.